Versatile, recessed shelves are leak proof and ideal for transporting mail, supplies, or for order picking. Long-lasting plastic construction with rounded corners won’t scratch doors or walls. Molded-in cup holder and additional compartments designed to hold small parts or tools. 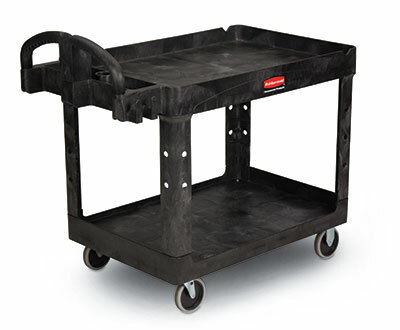 5" non-marking casters include two fixed and two swivel.